للمسافرين الذين يرغبون أن يعيشو كل ما تقدمه كرايستشرش, Airport Lodge Motel هو الخيار الأمثل. يسهل الوصول إلى هذا الفندق ذو 4 نجوم من المطار، فهو يبعد عنه مسافة 2.5 KM فقط. بالنسبة لمن يريد الخروج، هذه بعض المعالم السياحية المتوفرة للزوار Playing Around New Zealand, International Antartic Centre, انترتاشونال انتارتكت سنتر. استمتع بالخدمات الراقية والضيافة التي لا مثيل لها بهذا الفندق في كرايستشرش. هذه بعض الخدمات الموجودة في هذا الفندق: واي فاي مجاني في جميع الغرف, مجهز لذوي الإحتياجات الخاصة, مرافق مخصصة لذوي الاحتياجات الخاصة, تخزين الأمتعة, واي فاي في المناطق العامة. في Airport Lodge Motel غرف نوم يزيد عددها عن 25 صممت بذوق وعناية لتوفر لك كل وسائل الراحة . بعضها يحتوي أضاً على تلفزيون بشاشة مسطحة, اتصال لاسلكي بالإنترنت, غرف لغير المدخنين, تدفئة, ساعة منبه. يقدم الفندق العديد من الفرص للاستجمام كمثل مسار جولف - ضمن 3 كم, ملعب للأطفال, حديقة. يحظى فندق Airport Lodge Motel بموقع ممتاز وخدمات يصعب منافستها. تتوفر خدمة النقل من المطار وإليه من الساعة 07:15 AM إلى 02:00 AM كل يوم باستثناء عشية عيد الميلاد، وعيد الميلاد، ويوم الملاكمة، ليلة رأس السنة الميلادية، وعيد رأس السنة الجديدة. We book 2 bedrooms and it was over our expectation. It was very clean. The living room, kitchen, bathroom and bedrooms was well maintained. It was a bit pity that we have early flight in the morning and couldn't stay longer. Perfect for a quick overnight stay. Has a very good late night/pickup service from the airport (we got our hire car the next morning). 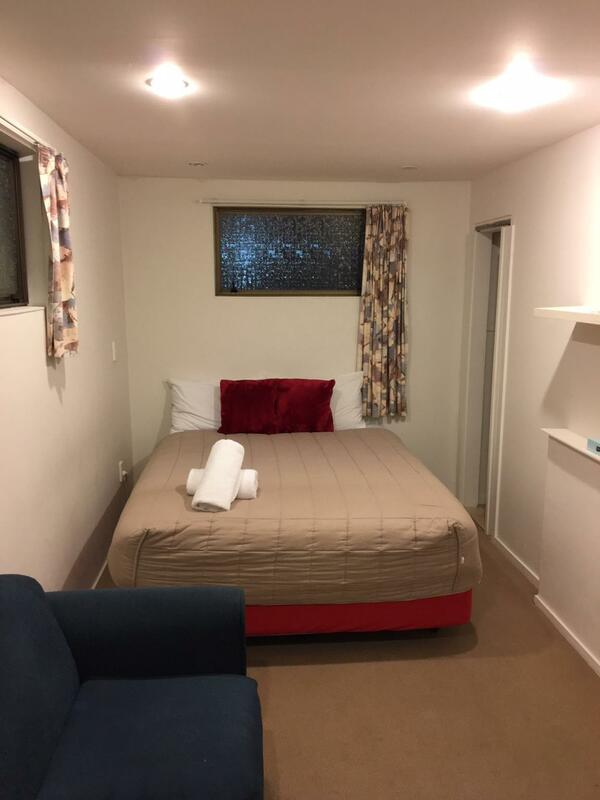 Very good for a motel - very quiet, tidy, and clean, with all the essentials. Cabins are not too tightly packed together. Has a pleasant open grassy area between the front gate and the reception. Pros - location & free shuttle service from / to airport Cons - facility is somewhat similar to Caravan Park. Room is just 2 star motel. $20 late checkout fee - Checked in 1:30am as I came from oversea and checkout 10:45am. Called the reception for more than 5 minutes around 9am to ask late checkout, but no answer. Had talk to one of their house keepers, the housekeeper told me it's ok to checkout by 11am. However, when I checked out, the owner of the motel charged me $20 for the late checkout fee. I wouldn’t stay this motel again as the motel is well below my expectation and doesn't have any value for money. 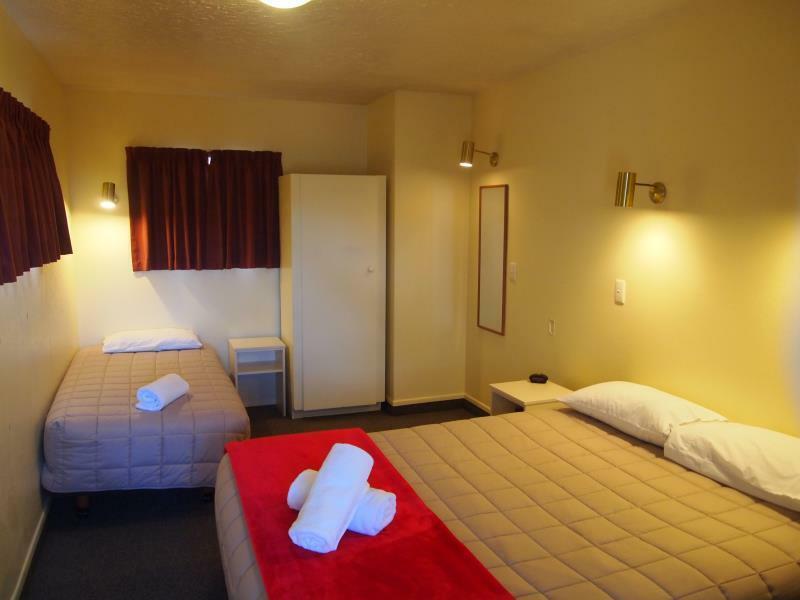 We had been choosen this motel for the last day out of 3 days explored Christchurch, a bit regret that we did not book for the 3 nights because its home feel whilst living room, bed room, kitchen and toilet are separated. 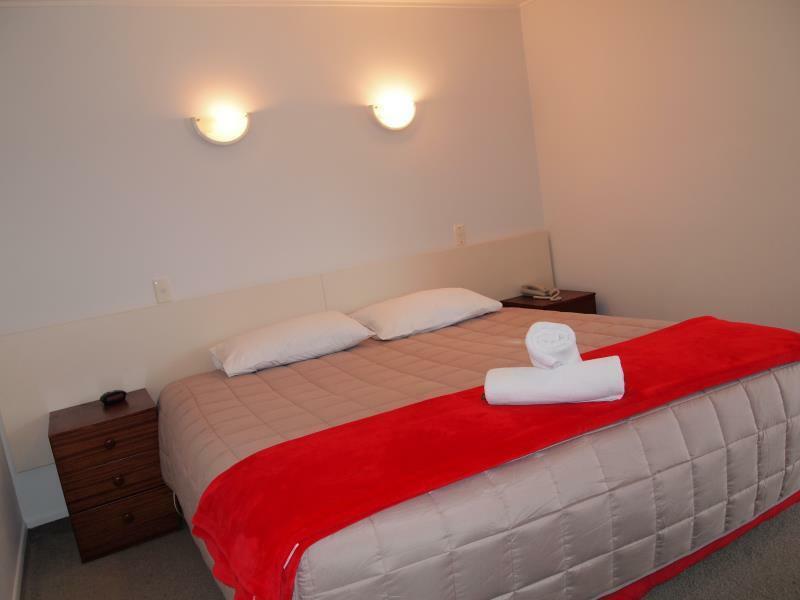 Although is a dated motel but its well maintained, clean and comfortable. Guest laudry room provide sofa and books, you won't be bored during waiting time. Children playground is a plus, my little one felt so happy with it. Will be back if we would travel to Christchurch again and would highly recomended to everyone. Motel has a free shuttle from the airport as per your request (up to 2am), managed to also get a free shuttle to the airport on the next morning after checking out. Flight came in at 2300 at CHC (after office hours of the reception, however they do have a night porter which runs the place and facilitated our check-in) Staff were really friendly and helpful. 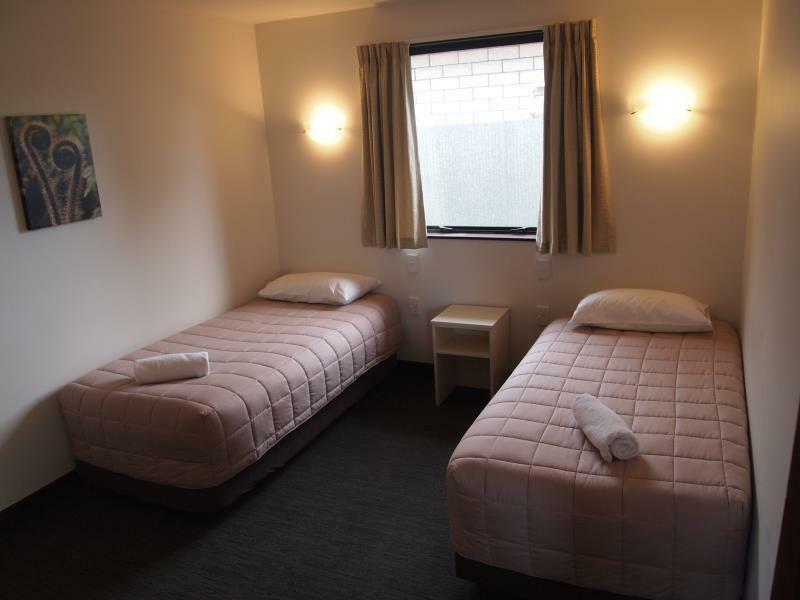 They turned on heaters prior to check-in so the rooms were nice and warm for us :) Booked into 2x One-Bedroom Rooms and both had 1 Double Bed and 2 Single Beds! Much bigger and more spacious than expected. Bathrooms come equipped with hand soap, body soap, and hair shampoo. Overall really satisfied with the stay. Highly recommend this place, especially if you're transiting for a long period or waiting for a flight out of Christchurch Airport. Not as close to the airport as I thought but the free transfer is a bonus and the rooms are clean and spacious. Has a very helpful late night pick up service from the airport. Cabin is quiet, clean, neat, and tidy, with all the essentials - very good for a motel at the price. Perfect for our overnight stay. We were really pleased with the lodge, we were only expecting an ensuite room but there was a nice kitchen with coffee etc supplied. We were provided with a bottle of milk on arrival. We also had a really nice lounge. 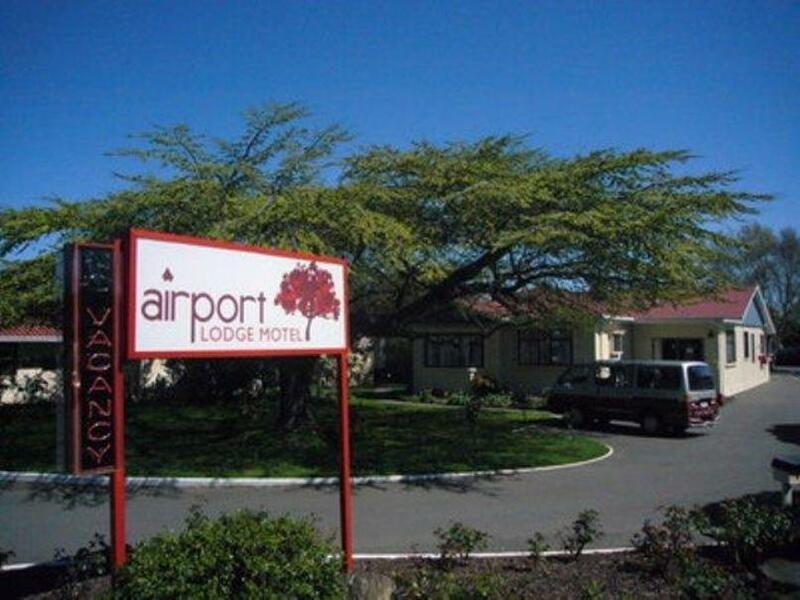 They also provide a pickup and drop off service to the airport which is only a 5 minute drive. Loved the place, after touring in a campervan it was a perfect stay to relax before our flight home. Would highly recommend it. We arrived in Christchurch from Australia around midnight and were pleased to be able to stay close to the airport. There is a pickup shuttle which is very convenient though in the end we chose to hire a car. 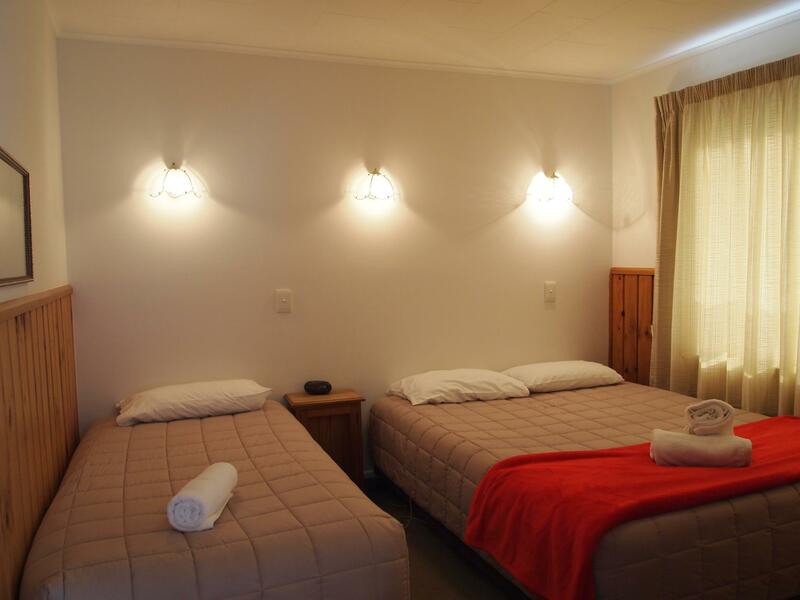 The room was comfortable, the place is quite and the cooking facilities and bathroom etc were clean and usable. The stay was good value and we were appreciative of the help offered by the staff to get us on our way the next morning. Picked up from international airport at approx midnight and shuttled back to a pre-heated family room! Very friendly service that went the extra mile and dropped our family off at the Motorhome hire company the next day! These people had gone out of their way to make sure the heater was on when we arrived cold late at night. A lovely touch and much appreciated. We also asked for a small favour and it was no trouble to them and when we returned 4 nights later, they had remembered what we asked for the time before and had our needs met. Well done.